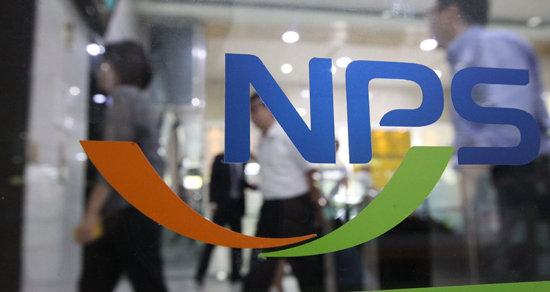 South Korea’s largest institutional investor National Pension Service (NPS) will this year play safe in running stock portfolio in the local market and go more aggressive overseas after it posted a negative return in managing the world’s third largest assets last year. The NPS cut the target active risk for local stocks from 1.07 last year to 0.95 this year, while raising that for overseas stocks from 2.02 to 2.12, said sources from the financial and investment industry on Wednesday, citing a report on active risk allocation for each asset type submitted to the fund’s top decision-making body the Fund Management Committee early this year. Active risk is a type of risk taken to outperform a benchmark and create higher returns. Low active risk indicates an investment portfolio closely follows its benchmark, while high active risk means the opposite. The fund managing 638.8 trillion won ($566.7 billion) worth assets as of last year, recorded 16.77 percent loss in Korean stocks last year, valued at 22 trillion won in loss, according to the fund. It performed better for foreign stocks despite a 6.19 percent loss. The Korean stock market performed poorly with the country’s main Kospi index plummeting 17.28 percent last year versus a 9.2 percent drop in the dollar-denominated MSCI ACWI ex-Korea index. Lowering active risk for domestic shares means that the NPS would follow closely the benchmark index, a move that would make the fund up investment in Kospi-listed stocks instead of those in the Kosdaq market, and large-cap stocks rather than mid- to small-cap ones to seek stability, market experts expected. Industry watchers also suggested that the fund’s latest decision to take on greater risks for foreign stocks indicates its grim outlook on the Korean market.